Chadwick Optical, Inc. How Hemianopic Vision Works - Chadwick Optical, Inc.
Hemianopia (without an s) and hemianopsia (with an s) are one and the same condition. In Australia and the United Kingdom, web searches are done almost entirely using hemianopia. In the rest of the world, hemianopsia is the preferred spelling. In the interest of catering to the entire world’s internet inquiries, we will be using both spellings interchangeably. Homonymous hemianopsia is a common vision condition, affecting 1 in 3 stroke patients. It can also be a side effect of certain brain surgeries and abnormalities. While the normal person has about 180 degrees of field, a patient with homonymous hemianopia has their visual field cut roughly in half. As you can see, the patient with hemianopsia is missing their entire visual field on one side. 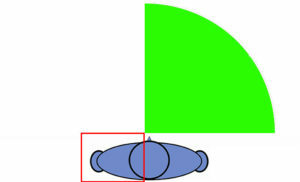 All of the graphics and examples will show left hemianopia, but it can happen on the opposite side as well. Photos often depict the missing field in hemianopia as being black or white. This is not how the missing field is perceived to the patient. The missing field isn’t seen as black or white. It just isn’t there. 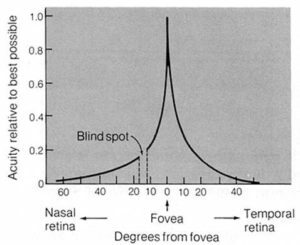 Did you try the physiological blind spot test on the How Normal Vision Works pagewhere you made the black dot disappear? That’s how the patient perceives the missing field. They don’t consciously notice it. As you can probably imagine, if you were missing the entire left side of your vision, this would pose some problems. The biggest quality of life concerns for patients with hemianopia are mobility, driving, and reading. 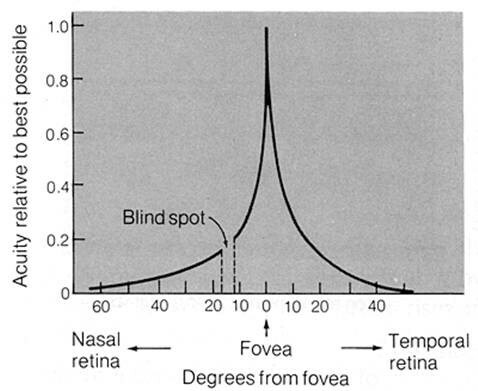 The visual field acts as a shield from impending obstacles. 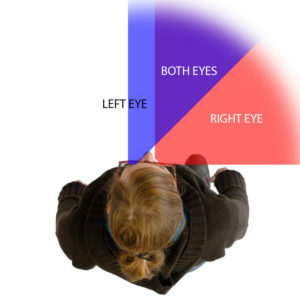 A person with a normal field of 180 degrees can proactively detect obstacles in their visual field that can possibly interfere with mobility, and consciously avoid them. A person with homonymous hemianopia has lost that shield on one side. This blind side will offer no natural obstacle detection, leaving the blind side at constant risk to oncoming dangers. 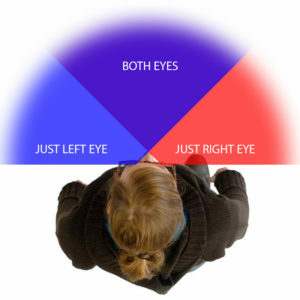 When a person with normal vision reads, their peripheral vision guides them along the line of reading, and to the beginning of the next line so they do not lose their place. Patients with hemianopia have challenges reading. The challenge is different depending on the side of their field loss. A patient with left hemianopsia will often have trouble finding the beginning of a reading line. They may start reading the next line of text without going all the way to the beginning of it. A patient with right hemianopia may read just the beginning of a word without reading the entire word. Both of these scenarios make reading very difficult for a person with hemianopsia. The ability to drive is compromised by hemianopia. 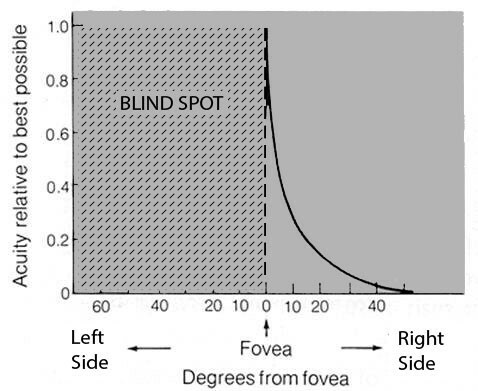 Awareness of surroundings is limited by the restricted visual field, making driving itself difficult. To compound this, many states and countries require drivers to meet minimum visual field requirements. Depending on the state, the field requirement can be anywhere from 105 to 140 degrees, which cannot be met by patients with homonymous hemianopsia. Restricted licenses may be available for patients with restricted fields.